Note: This article was first published on 4th December 2014, but the contents are still applicable today. It was way too early and I was freezing my face off. The sun wasn't out yet, and I was so cold my hands were turning red. What was I doing standing in front of this dark lake, bracing myself against the biting wind, when everyone else was still warm and snug in bed? Oh yeah, I was there to take a photograph. We’d always wanted to do a travel photography article here on HardwareZone.com, and over the past month, we finally got the chance in collaboration with Canon. 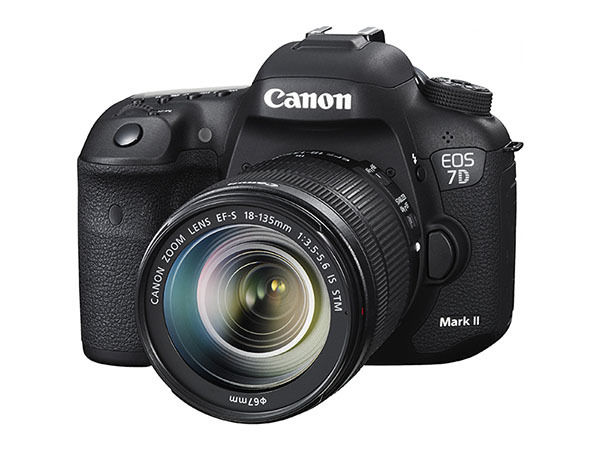 With their latest camera, the EOS 7D Mark II, I spent 10 days in Japan, walking and taking photographs. In this article, I’m going to talk about travel photography, but I won’t be talking too much about the basics, since I’ve dived more deeply into that with the HWM MegaGuide to Digital Photography 3.0 (iTunes link). Instead, I’ll be going deeper into how each of the 11 shots here were made, and why they were made, from the perspective of an amateur photographer. This is my process, but it’s not the only process. Send another photographer on the same journey and I’m sure he or she will come back with very different results. But I’ve found great value in learning from other photographers’ processes through the years, and hopefully you’ll find something of value in reading through mine. One confession before I start. I can’t pretend that photography is easy for me, and I shoot way more bad frames than good ones, but I’ve discovered that often the good frames come as a result of the bad ones. So I’ll also be talking about the mistakes I made, as well as showing you some of the shots that didn’t work and why. Travel photography can be quite wide, so it’s useful to define what I mean by it here. A simple shot of sushi from your smartphone can be travel photography just as much as a photograph of maiko in the evening light. My goal with travel photographs is to shoot photographs that express how I felt about a particular place. If I’m successful, then maybe someone else will feel the same way I did, looking at the photographs I made. It helps to define a key theme for what you want to photograph before you travel to a new place. What is it about this place that you particularly want to focus on? Is it about the landscape? Its people? Or is it a more general theme, like spirituality or modernity? For example, before I flew to Japan, I decided I wanted to find the traditional side of Japan, to go “in search of old Japan”. Knowing that was my focus helped me in three ways, before, during and after. Before I went, I planned to hit the older parts of Japan instead of staying in a major city like Tokyo. When I was shooting, I knew the kinds of places and people I would focus on, and what I could ignore. When I did my edits, my theme helped me to narrow down my selection and focus on the shots which fit the theme. When you talk about Japan, you have to talk about Mount Fuji at some point, right? 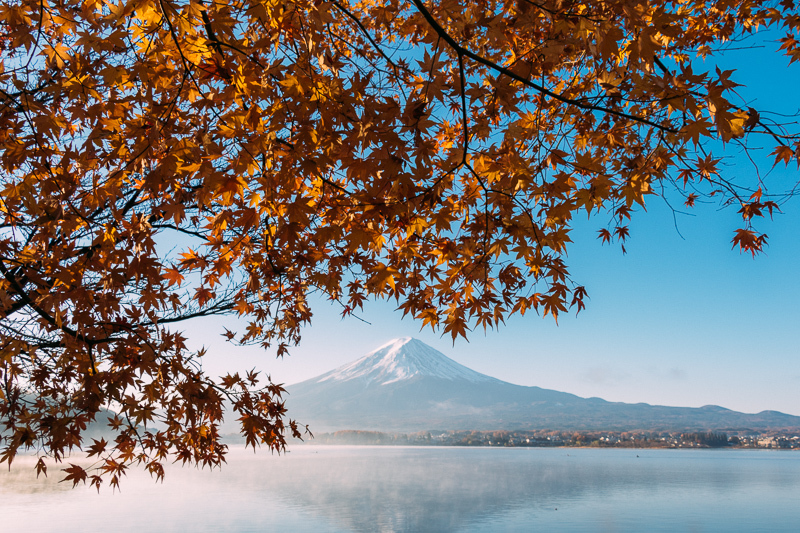 I have some other straight-on photos of Mount Fuji, but I chose this one to start the series, because this shot combines both an icon of Japan and a clear indicator of the season I visited it in. Introducing these two elements first helps to set the scene, and establish the period. The afternoon before I made this photo, I walked around Lake Kawaguchiko, trying angles of Mount Fuji framed against autumn leaves. I don’t always get the shot right the first time, but I find that there’s a lot of value in trying different compositions of a scene I like — ‘sketching’ to find if something works (01, 02). Doing my review that night, I discovered some sketches I thought might work if I went back again in the early morning light. Some photographers won't even look at their work until months later, but I find it helps to review your photos at the end of the day, to see where you succeeded, where you didn’t, and what can be improved. It's also useful to spot if you're repeating yourself, and if your work resonates with your chosen theme or a stronger theme is beginning to emerge. This shot wouldn't have been possible without some planning beforehand. 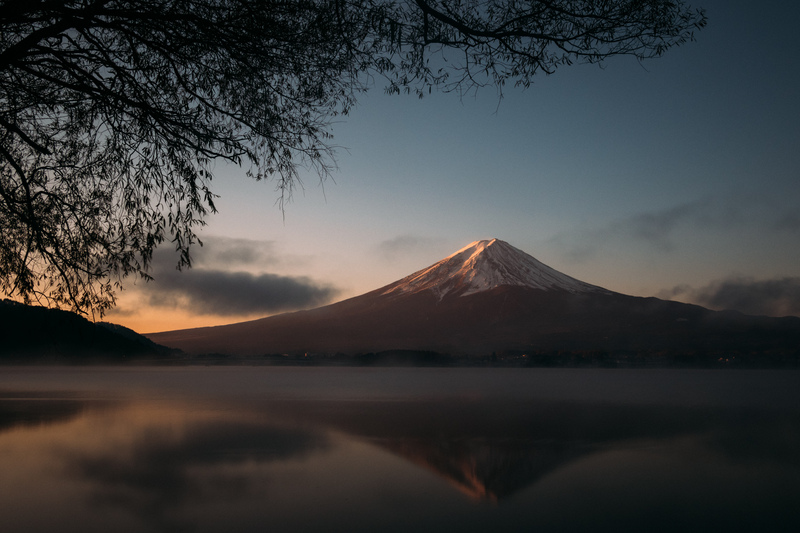 Thanks to the research I did before I reached Japan, I’d booked an inn to stay where I knew I’d be facing out into Lake Kawaguchiko, looking at Mount Fuji. I also knew the inn lent out bicycles, so I could wake up early and get to my location quickly. The next day, I woke before sunrise and cycled back to the places I’d scouted before. But I’d arrived ahead of time, and while Mount Fuji was getting some sunlight, the leaves were still dark and dull. 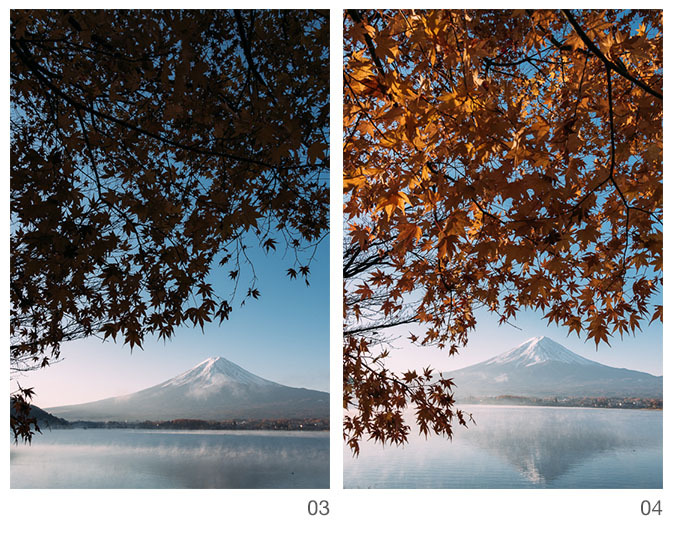 I knew the light was going to change soon, so I just waited around 10 minutes (03, 04) until the sun crested the mountains and hit the autumn leaves, turning them from black to fiery red. 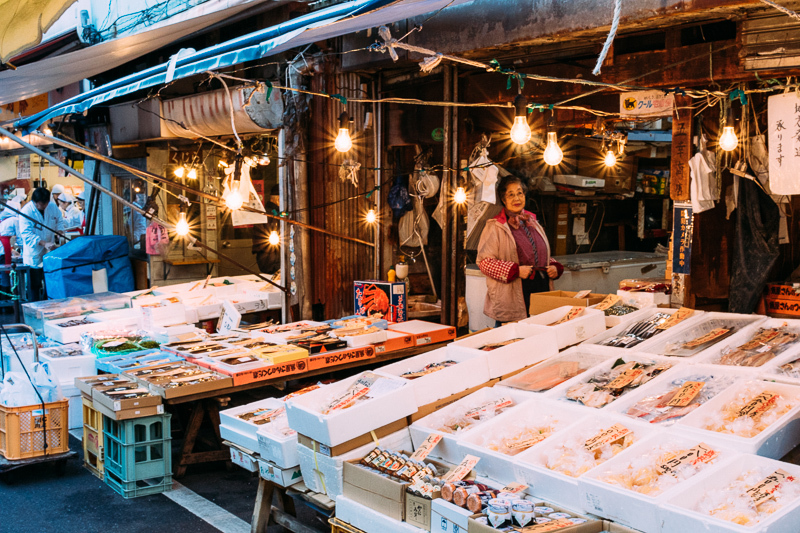 It’s sad to think that the iconic Tsukiji Fish Market in Tokyo will one day become a part of old Japan. Even though the date hasn’t been finalised, the inner market is set to move to a new location, tearing the inner and outer markets into two pieces. I’d been fiddling with my camera in front of this obasan’s (grandmother) store. When I raised my camera, our eyes locked and she gave me a little smile. That’s when I knew it was okay to make a few portraits. I loved how her store lights shone like stars as she stood under them. I amplified the effect by shooting at f/11; when you shoot at smaller apertures you get a starburst effect coming from points of light, like the ones you see here. I also love how the warm yellows of her store contrast with the blue morning light coming from the left side of the image. Because our eyes are drawn to warm over cool colours, the effect pulls your eye to where she’s standing. If I can get poetic, it says something to me about how the warm yellows are still sheltering her from the cold changes that are coming for Tsukiji. This shot is a great example of the way zooming in and out changes the way lines look in a photograph. 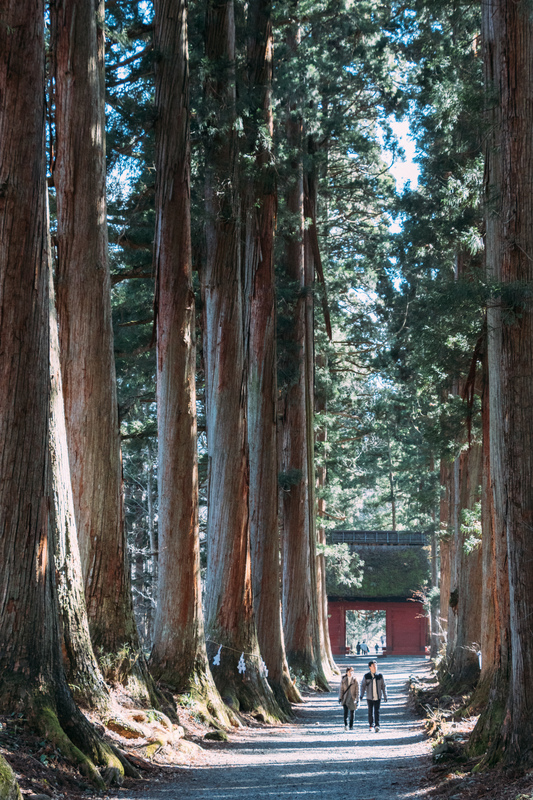 The cedar trees on the way to Togakushi Shrine were breathtakingly tall, and I wanted to express that in some way. Shooting with a wide angle exaggerated the lines the trees made (05), but it wasn’t the look I was after. Instead, I wanted to show how straight and tall the trees were. To do that, I zoomed in to 42 mm (on an APS-C camera like the 7D Mark II, that translates to 67.2 mm in 35 mm equivalent). While a wide angle lens exaggerates lines and makes objects appear further away from each other (05), a telephoto makes lines appear straighter and subjects look closer together (07). To show how tall the trees were, I needed people inside the shot to provide a sense of scale, and I wanted them to be a small part of the picture to further accentuate how tall the trees were. 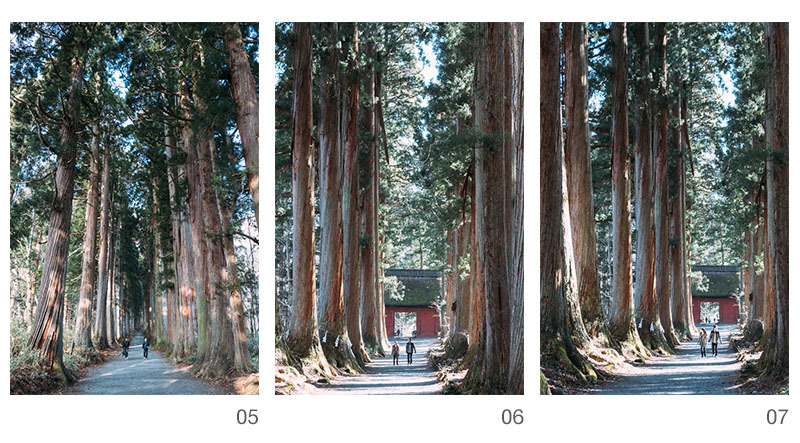 After shooting a few frames, I realised that nobody would be able to link the photo back to Japan if all I shot were people and trees. So I walked back to the entrance, where there was a traditional entrance and a shimenawa (sacred rope) tied around a tree. I saw a couple approach while the rest of the walkway was clear, so I knew they would make clear subjects. If you look at the pathway, there are patches in shadow and places that are lit. I knew that if I wanted to draw my viewer’s eye, I had to wait until the couple walked into the light to take the shot (see 06, where they're in shadow and not as prominent). They made a series of poses as they walked through the light (07), and one of them worked for my final image.